Inspired by lovely neutrals and the casual intimacy that a beach wedding gives to couples and their guests, we are so excited to share our latest DIY project that we have created in partnership with our new friends at Cricut! 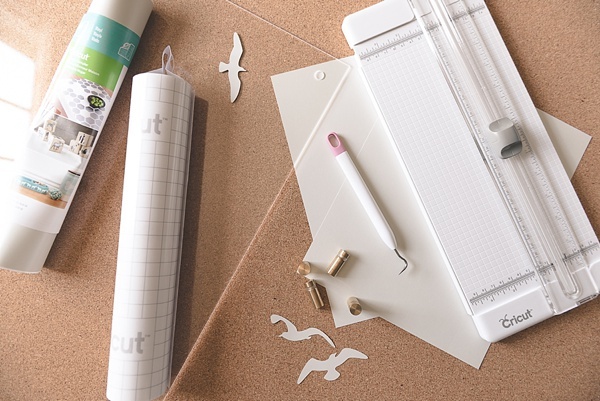 If you're a crafty bride or groom, you're going to want to stay tuned during the month of September as well because between Tidewater and Tulle and a crew of other wedding editor pals, we're celebrating Cricut's launch of wedding-related projects to help couples better personalize their special days. Lots of inspiration, lots of giveaways, and lots of themes to get you totally pumped for all things wedding! 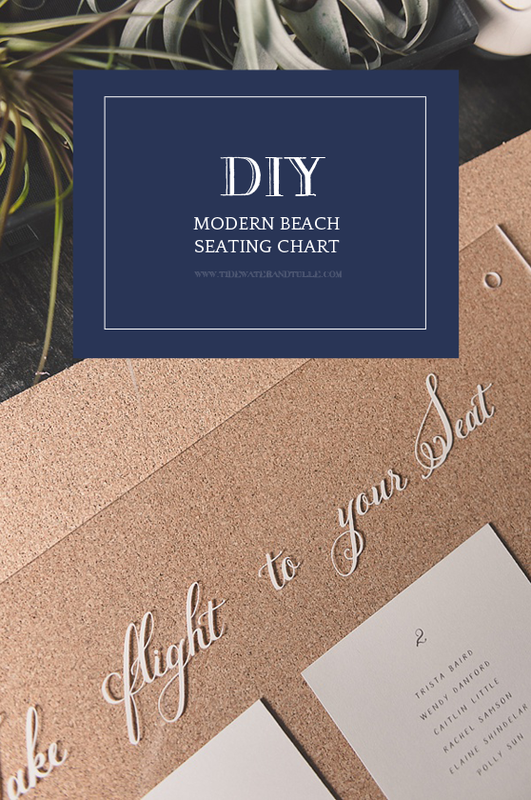 Now onto the good stuff for all of our coastal-loving couples out there because this DIY modern beach seating chart is going to have your heart sighing for warm late summer days and calming waves. Let's get crafting! 1. Lay out all of your materials. We'll first start with the printed pieces. 3. Using your Canon PIXMA MG7220 Wireless Printer, insert the light gray cardstock paper into the cassette and print. 4. 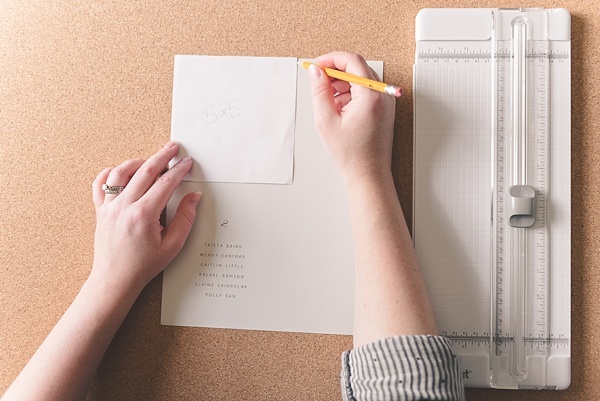 With the ruler on your portable trimmer, make tick marks for your 5"x5" squares. I personally created a dummy square template to help me keep my squares centered and equal, but it's not required for guest list success! 5. Trim, trim, trim! Create your squares with the trimmer and set the squares to the side. It's vinyl time! 6. Using your laptop or computer, open up Cricut Design Space. Click "Select Images" and search for "seagull." The digital image of a trio of seagulls should appear. Purchase the image set if you haven't done so already. Click on the trio of seagulls image and then "Insert Image." On the right hand side of Design Space, you need to be sure that the first three layers of this seagull graphic are made "invisible" or turned off (i.e., the eyeball symbol should have a line through it). The thick navy blue outlines of the seagulls should disappear; this will give you the perfect cut-outs for your seating chart beachy detail! 7. In Design Space, resize the trio of seagulls to fit across to a 5" width. Now it's time to cut! Set up a leftover 5"x5" light gray square from your guest list assignment on your cutting mat and load the mat into your Cricut machine. On the Cricut machine, be sure to set the material dial to Cardstock. 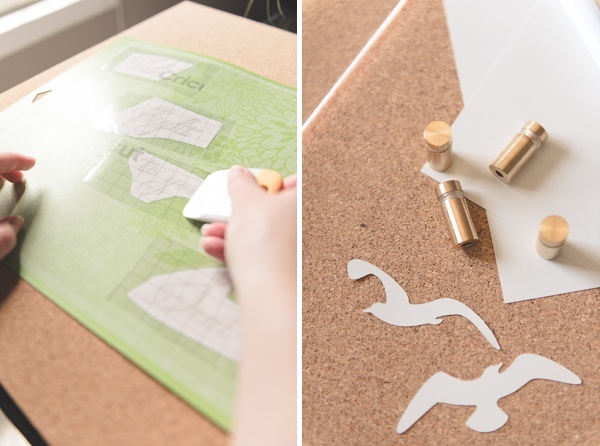 Click "Go" in Design Space and cut out your gulls! After cutting, use the spatula to lift the seagulls from the mat and set aside. 8. Now for the seating chart title! 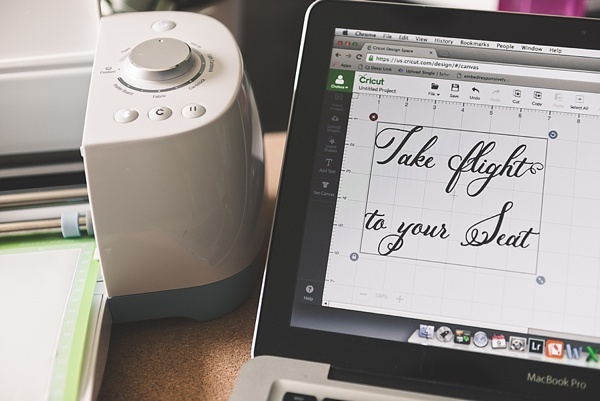 Download our "Take Flight to Your Seat" graphic or create your own in Cricut Design Space. 8a. If you download our version, go to Upload Images > Upload Image > Simple Image selection > Continue > Save As a Cut Image > Save. Resize the graphic to 7" wide. 8b. If you create your own, Add Text > write "Take Flight to Your Seat" > click Edit to change font > resize as needed. You will need to determine the relevant size for a 20"x20" frame. Do a test run first! 11. After you have weeded out the insides of your letters, cut out each word to better weed out the surrounding vinyl from your words. 12. Now grab your transfer tape. (This will literally be your best friend when applying the vinyl to your acrylic frame! 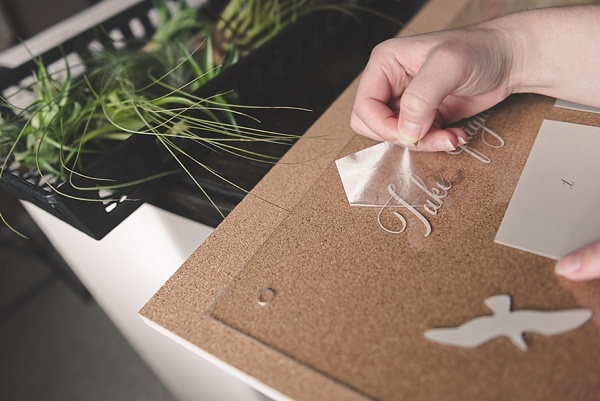 It's a lot like that contact paper you put in your cabinets, but for crafts!) Use your title words and size/cut out bits of transfer tape to cover each word completely. 13. Remove the waxy backing to the transfer tape pieces and apply the clear tape on top of each word. Use your scraper to better adhere to vinyl for proper transferring. 14. 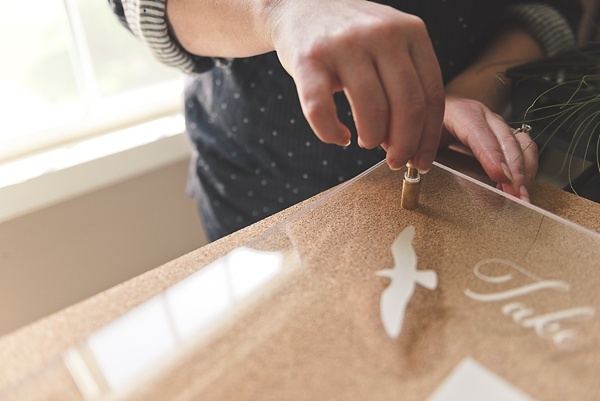 Carefully, peel away the clear tape; the vinyl should be sticking to your clear tape leaving the waxy vinyl backing on the cutting mat. Repeat for each word. 15. 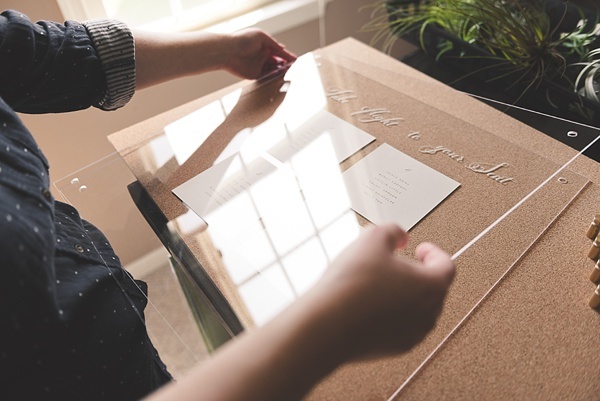 Without placing on the acrylic frame, gently lay out each word to make sure you have the right spacing to keep everything centered. Once the transfer tape or vinyl goes down, there's no removing it! You will have to start all over. This vinyl is a sticky beast! 16. 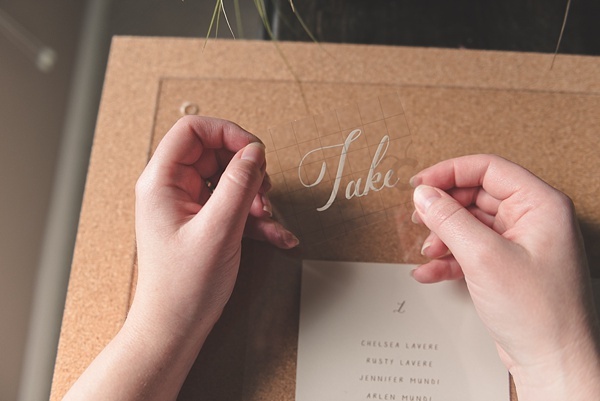 After the title is placed and set, take your guest seating assignment cards and center them in your frame. Then take your cut out seagulls and place one in the upper left corner and the other two in the lower right corner. Personal preference may vary! 17. Place the other acrylic piece on top of the entire seating chart. Connect the two acrylic pieces with the brass hardware for the frame. Twist and boom! That's it! You've got yourself one gorgeous modern beach wedding seating chart thanks to one pretty fab cutting machine named Cricut that helped you personalize your wedding! 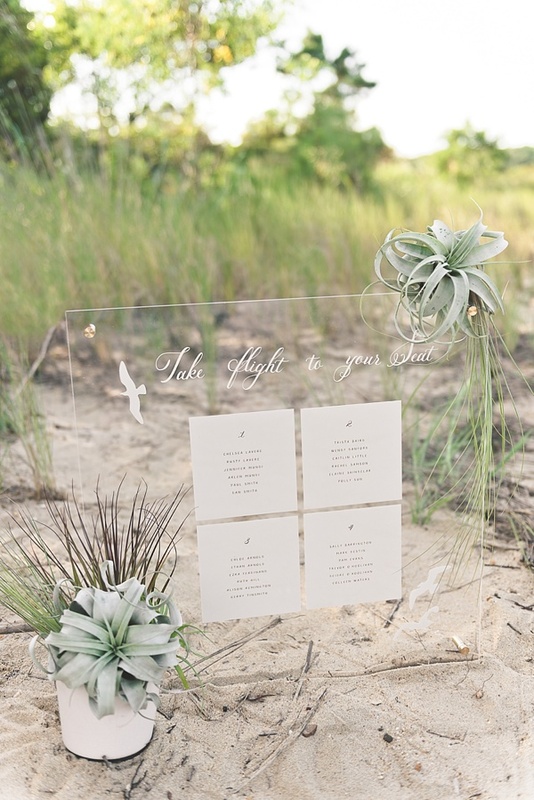 For beach weddings, I'm a huge fan of hearty flowers and plants that complement sand and sea, so air plants are a great choice for making your seating chart look simple, organic, and chic. Best part? They can be used after the wedding in your home! 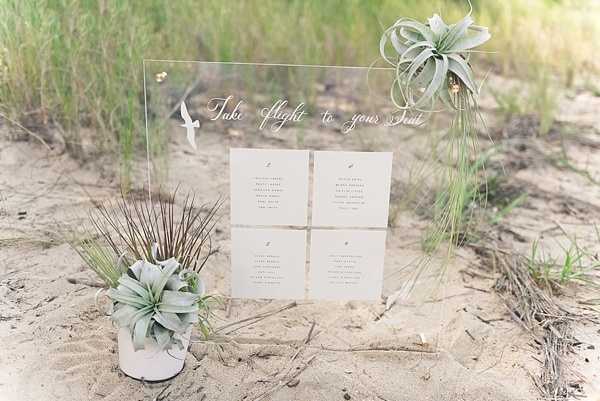 Your wedding florist can help you get any type of air plant (like our gal Leslie Hartig Floral Design did for me!) or you can find them online via Amazon or FiftyFlowers. Win $1500 in wholesale wedding flowers from FiftyFlowers! Whether you want to make your professional wedding florist very happy or have some florists in your family, FiftyFlowers helps get you your dream blooms from farm to doorstep. Trendy flowers like peonies and protea to classic flowers like lilies and roses, there's a bit of everything depending on your wedding theme and style! 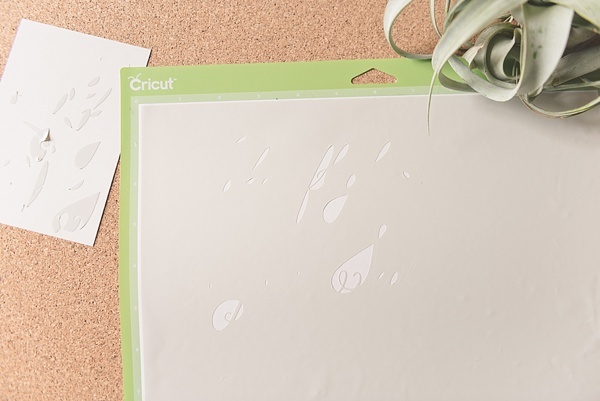 Head over to Cricut to enter to win this week's prize and more! "It's Your Story, Make It Personal"
Some of the above product links are affiliate-linked and purchasing through these links helps support future DIY projects! You can find our full affiliate disclosure policy here on Tidewater and Tulle.